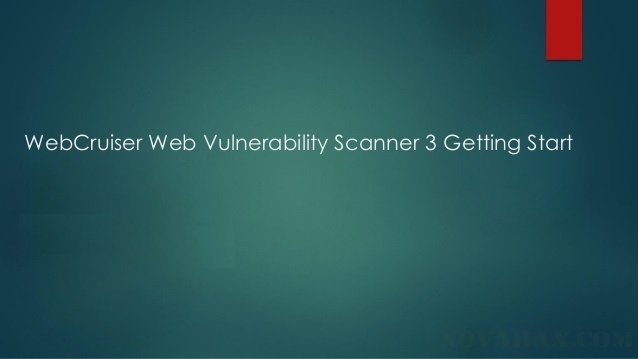 Web Vulnerability Scanner, a compact but powerful web security scanning tool. It has a Crawler and a Vulnerability Scanner (SQL Injection, Cross Site Scripting). 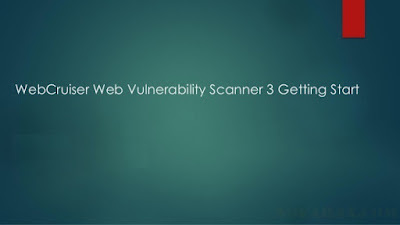 It can support scanning website as well as POC (Proof of concept) for web vulnerabilities: SQL Injection, Cross Site Scripting, Local File Inclusion, Remote File Inclusion, Redirect etc. 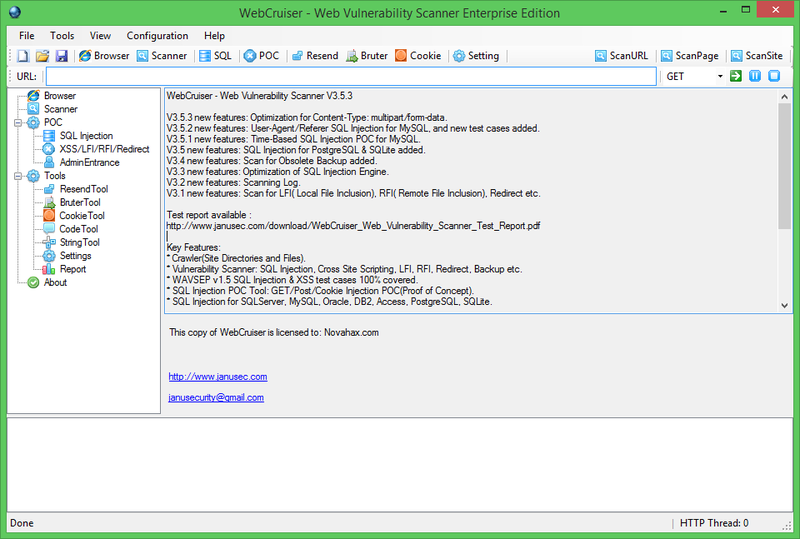 The most typical feature of WebCruiser comparing with other Web Vulnerability Scanners is that WebCruiser Web Vulnerability Scanner focuses on high risk vulnerabilities, and WebCruiser can scan a designated vulnerability type, or a designated URL, or a designated page separately, while the others usually will not. Vulnerability Scanner: SQL Injection, Cross Site Scripting, LFI, RFI, Redirect, Backup etc. WAVSEP v1.5 SQL Injection & XSS test cases 100% covered. SQL Injection POC Tool: GET/Post/Cookie Injection POC(Proof of Concept). SQL Injection for SQLServer, MySQL, Oracle, DB2, Access, PostgreSQL, SQLite. POC Tool for XSS, LFI, RFI, Redirect etc. Resend & brute force Tool.